These are lyrics by Lead Belly that we think are kind of nonsensical. 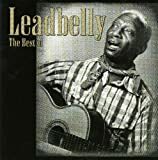 Lead Belly's, "Cotton Fields (1940s)"
Just about a mile from Texarkana. Actually, Texarkana is about 30 miles from the nearest point in Louisiana. Apparently the songwriter(s) did not do their geographic research.